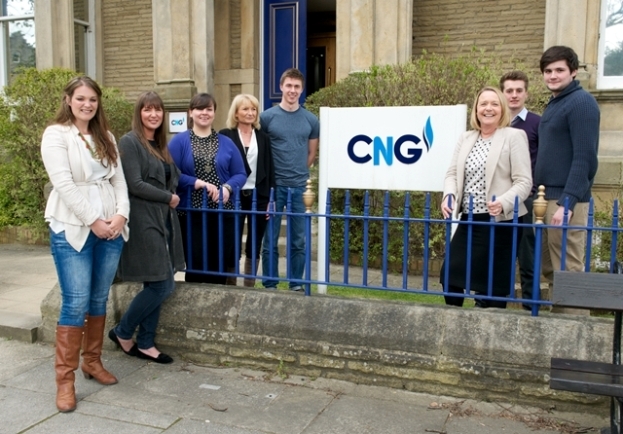 Harrogate-based CNG has revealed an excellent start to 2013 with a raft of new appointments. An increase in interest means the business is continuing to expand with four new recruits across the teams to tackle the workload in sales and billing. A further two new team members have also been brought in to existing roles and student Jack Walls is working in the business to gain industry experience ahead of his university studies in September. The latest team members have joined in a steady stream from early 2013 and are already playing a crucial role in allowing CNG to maintain the service standards for which it has become synonymous. With backgrounds ranging from retail, sales agents to self-employed business owners and designers, the latest team members complement the broad skill set already proving to be a success within CNG. Joanne and Karen are joined by the other new starters in Sales and Billing/Credit Control; they are Nick Harper, Lisa Watson, Amy Gardner and James Chesnutt. The CNG business is expanding constantly and 2013 looks set to see continued increase in turnover, employee numbers and progression into the next stages of its long-term development; with plans in place to create a CNG electricity arm. “2013 is a major turning point for CNG as our growth continues and we make excellent strides in moving the business forward. “This is going to be achieved through ongoing appointments of great staff like our latest recruits and the maintenance of high service standards.